From TCO advantages like reduced power and cooling to increased performance over HDDs, all-flash arrays (AFAs) offer a variety of benefits to your organization. 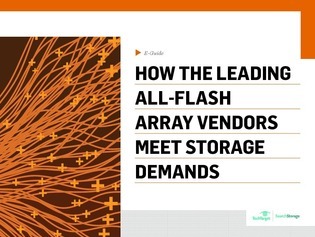 But because the leading AFA vendors provide numerous purchasing options, finding the right all-flash system to fit your storage needs is paramount. Whether you’re looking for an AFA to support a few servers or a monster enterprise-grade cluster that can support thousands of users, this e-guide is here to help. Read on as our consultants examine products from the eight leading AFA vendors, so you can create a system to match your needs.